Elaine Childs-Gowell, M.N., M.P.H., A.R.N.P., Ph.D., C.T.A. , was born in Angola, Africa to missionary educators and was believed by the neighboring tribe to be the re- incarnation of the chief’s wife his queen. She was honored by this tribe as such until she went off to boarding school in Johannesberg. She was a public health nurse in the South where she secretly taught poor, black women (mostly Catholic) about birth control and pride in themselves. She was the first white instructor at Dillard University. She took the black chaplain out to lunch at the “whites only” lunch counter. She fought injustice in all forms wherever she was. In 1983 she chained herself to the fence of the Bellevue Temple with a group call Mormon Women for the ERA and was arrested.After moving to Seattle she received her PhD in Cultural Anthropology while running her private practice as a psychotherapist. She developed (with others) a new model for treatment called Corrective Parenting which healed hundreds of people and saved lives literally. In 2003 she received the esteemed Muriel James award for her contributions to the International Transactional Analysis Association. Todd Hayen* is a certified hypnotherapist practicing in Los Angeles. He holds an M.A. in Consciousness Studies and is currently working toward an M.A. in Counseling Psychology from Pacifica Graduate Institute. He is also certified in Neuro-Linguistic Programming and Guided Imagery. Todd is a licensed Practitioner with the Church of Religious Science and has spent a large portion of his life composing music for film and television. He lives in Pasadena with his two Siberian Huskies, Neli and Bobo. Elaine Childs Gowell*, PhD is a psychiatric Nurse/Anthropologist, Hypnotherapist, EMDR, TFT, and HeartMath® certified consultant in private practice. She has been a practitioner of Transactional Analysis, since 1969 in Seattle. She has worked with organizations, families, and individuals in effecting changes where dysfunction exists. Her Ph.D. is in Ritual Healing–Anthropology. She has developed workshops involving Ritual Process and Shamanic Healing. She is a grief specialist and the author of workshops on Grief, Soul’s Purpose, Medicine Wheel. Her workshop “Good Grief Rituals,” which teaches participants to do their own “grief rituals” has been presented internationally at conferences since 1969. She is the author of many articles, published and unpublished. She has written and published five books. Books are available from her website: www.goodgriefrituals.com . Jan Erik Sigdell* was born in Sweden in 1938 and moved to Switzerland in 1968. He became a Master of Engineering in electronics in 1962 and graduated as a Dr. of Technology in medical engineering in 1968. In the 70’s he experimented with hypnotic regressions and in 1979 he had the opportunity to learn a non-hypnotic regression technique, which he has since developed further and extended with new additional techniques. Since 1980, and parallel to working as a free-lance consultant for the dialysis industry, he operated a practice in Basel, Switzerland, for regression therapy. He moved to Slovenia, the home country of his wife, in 1997 where he is now retired and still working. 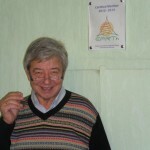 He has written several books on reincarnation and regression therapy and a number of articles in various journals (see his webpage www.christian-reincarnation.com ; most of them are in German and Swedish). 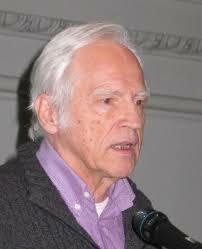 Much of his research work is dedicated to the question of reincarnation and Christianity, about which he has written an extensive treatise. Marjorie V. Reynolds* career has been that of a professional educator, including School Clinician. The major portion of her career, from which she has retired, involved the diagnosis and treatment of difficulties in learning to read. She holds B.A.ED. and M.Ed. degrees and has passed the written examination for a doctoral degree. Much of her studies have been in the areas of Educational Psychology and Clinical Psychology. Other areas of study include: Certified Hypnotist (Manitoba), Certified Hypnotherapist (National Guild of Hypnotists), Transpersonal Hypnotherapist (National Association of Transpersonal Hypnotherapists), Certified Past Life Therapist (Bolduc Past Life Training Intensive), and Board Certified Past Life Therapist and Researcher (International Board for Regression Therapy). 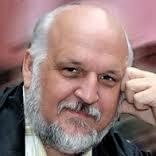 Eric Christopher* is an IBRT Certified Past Life Regression Therapist and Researcher. He has a BA in Psychology and Education from St. Olaf College. He obtained an MS in Marriage and Family Therapy in 2000. He has followed his passion by taking a significant amount of training in Hypnotherapy, Past Life Regression and various other forms of regression therapy techniques. He also is a guide and therapist for the 15th Step Process. He has a private practice in St. Paul, MN. Pavel S. Gyngazov*, M.D., was born in 1947 in Tomsk, Russia. 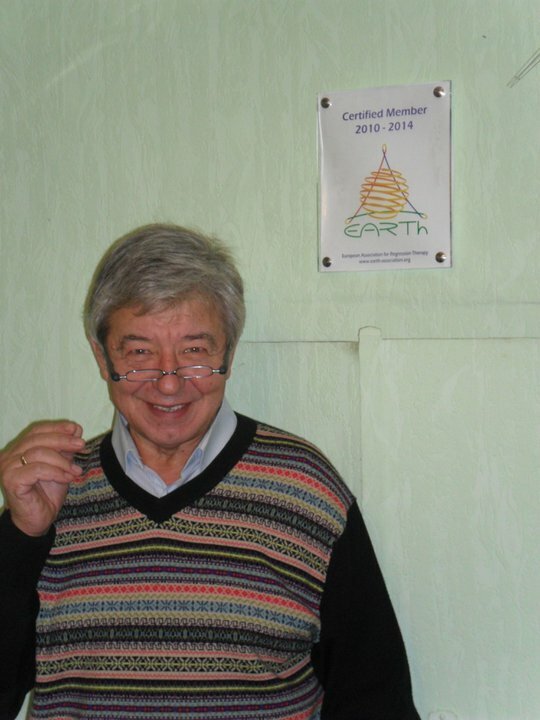 In 1976 he graduated from Tomsk Medical Institute with a degree in therapy. From 1976 through 1983 he worked as an obstetrician-gynecologist. Since that time he has been working as a sexologist and sexopathologist. 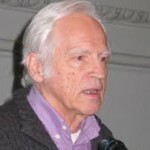 He has been involved in regression psychotherapy since 1993. By March 2004 he conducted over 2000 hrs in this original RT. Pavel believes that this technique definite harmonizing effect upon patients, besides, it obviously provides complete recovery from various especially difficult psychosomatic deceases. Pavel is married with one adult son. Pavel’s spouse is a Ph.D. (candidate) in Philology. Djuna Wojton* leads individuals and groups in past life regression in Philadelphia. She is the author of Karmic Healing: Clearing Past Life Blocks to Present Day Health, Happiness, and Success. 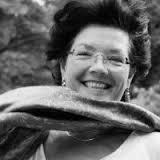 Marion Boon* graduated from the Tasso/Hans TenDam School for Regression and Reincarnation Therapy in the Netherlands. Before that she worked as a pranatherapist and studied philosophy. Marion works as a regression therapist, trainer, and heads IPARRT, Center and multilingual international practice. She is a professional member of the Dutch NVRT and IARRT, Board certified by IBRT, a founder/trainer of the European Academy for Regression Therapy EARTh. She was on the Organizing Committee for the First World Congress on advances in professional Regression Therapy in the Netherlands in 2003, and she is on the Board for the second WCRT in India 2006.